Darren Parkinson joins Balco UK! We are very happy to announce that Darren Parkinson has joined Balco UK as National Sales Manager, working with Pernell Vernon (Director of UK Sales) and the rest of the UK team. 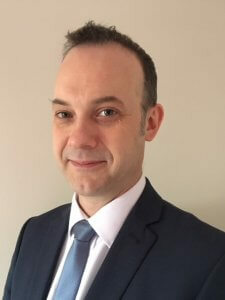 Darren has 19 years of sales experience to the UK construction market, selling products and solutions to social landlords, main contractors, developers, and architects. Alongside his busy professional life Darren has been married to Alison for over 13 years and they have two children, Dylan (6 years) and Sophia (4 years) who ensure life is never dull!!! Football is Darren’s passion and he enjoys nothing better than watching his beloved Liverpool FC. We are all very excited for the future and look forward to the successes that Darren will bring us.